If you don’t love it, need it or use it, then its clutter. 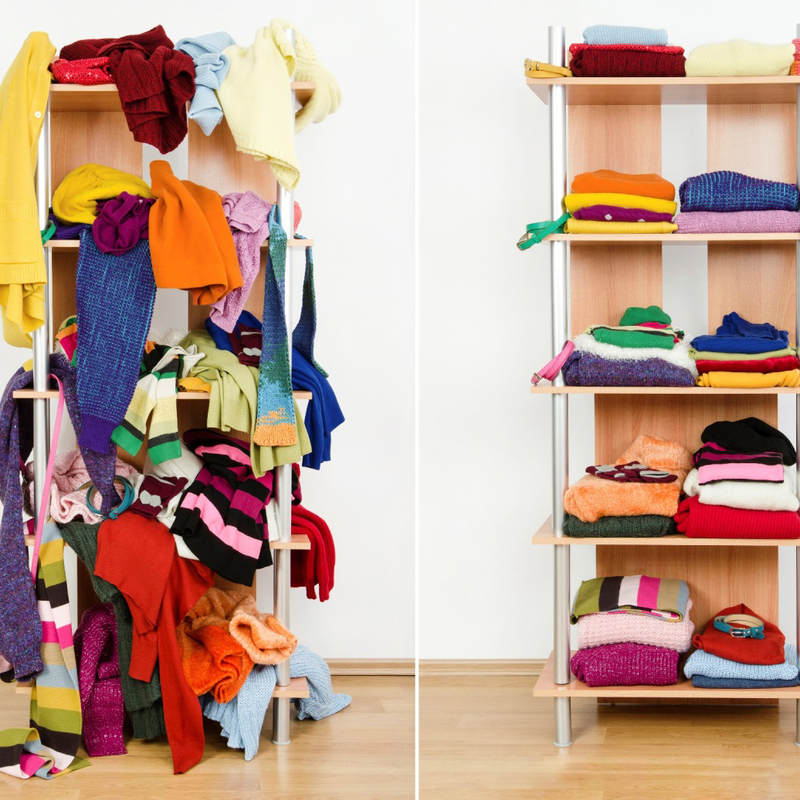 Decluttering catches people by surprise in many ways. We don’t realise how much stuff we have until we need to search for something around the house or find space to fit more stuff. We are surprised by how much we can enjoy our homes when only things we love surround us. The most surprising element is the feeling of liberation we experience when we take back control. Your home should be a sanctuary—a place of serenity, where you can relax, take off your shoes and shed the worries of the world. Clutter clogs that serenity just like junk clogs a drain. Decluttering your space is symbolic of decluttering your mind. If your home or workspaces are messy, your mind is messy. It’s difficult, if not impossible, to think clearly when we’re surrounded by mess. You probably have enough hassles in your life without the added stress of being unable to find what you need. Decluttering can set you free. Objects carry the energy of memories, just like the dust that gathers around them. If the things you keep around you carry a negative energy, they drag you down without you realising the impact they’re having. It can be painful to get rid of things that belonged to someone special so you need to know how to deal with grief and all kinds of other emotions that can kick-up. In the long-run, letting go of objects can be one of the most liberating things you can do. Clutter can lead to anxiety and feeling overwhelmed. You don’t know where to begin and it all gets too much to handle. Decluttering can help you learn how to think clearly, to stop avoiding issues and work through challenges in small steps. Have you ever thought of decluttering your life of the people who drain your time and energy? There are ways you can learn to identify them handle them in a positive way that can still protect the relationship, even as you distance yourself emotionally or physically. Jacquie Wise is a psychotherapist and life coach who has been in private practice since 1979. All of Jacquie’s short courses focus on aspects of confidence-building and on teaching easier ways for you to be your best self and living your best life. If you are interested in learning more, take a look at her upcoming Declutter & Downsize, The Power of Positive Thinking and Stand & Deliver: Public Speaking for Beginners short courses.